After more than a month using stock XXLT9 + Philz + Xposed framework, I had decided to install OMNI ROM after good review from friends that it's stable enough for daily usage. How to make SCREENSHOTS in OMNI? 2. Press Power Button. You need to enable it in system setting. Press Power button. Screenshot menu avail. NIGHTLY Auto Detect Software Update. You will have the option to FLASH or NOT. No worry. Download Nightly update on WIFI only! Else it will kill your bandwidth. Attention! 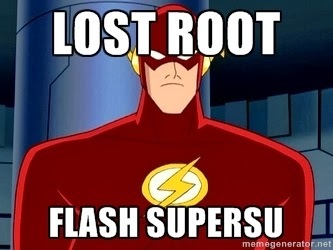 After flash NIGHTLY you will loose ROOT. What should I do? Install SuperSu backup Script. SuperSu Added option to install add-on backup script in order to survive nightly update flashes. ROOT will survive nightly update. Good and responsive stylus but you can't make screen shots with it. NO PROBLEM running Samsung XXLT9 stock Photo Editor. Set you stylus...Galaxy Note user. Show icon when using stylus will show a mouse pointer. Personally I don't like it. So, I don't check it. Active Display. Cool feature. During lock screen, you could see message coming in the centre of screen. Very useful during lunch/dinner time. Just left you phone facing up...you will see how nice it is. Swipe DOWN Top right screen to Show toggles. I want it FAST! Just OFF the animation in Developer Options. Specific folder for photo edited using Samsung Photo Editor. Omni Toggles avail selections. You are able to re-arrange it by clicking the Pen icon on top first to go to edit mode. Then, Press icon to re-arrange and drag it to you selection place. But you are not able to add or remove icons in toggles. The good thing is you can HIDE it. Download these files for you to upgrade from anywhere. 1. Philz Touch for CM-11 here. If you are not sure that your current CWM able to flash OMNI, just flash Philz for CM-11. Reboot Recovery. 4. Download SuperSU v1.86 here. If you lost your ROOT. Flash this in recovery. Don't forget to install SuperSU Backup Script to survive NIGHTLY update loosing root. Thanks for your very usefull post ! Hi Arvind , it is not necessary to update GAPPS or supersu. You will not lose your root as long as backup script is installed. WhatsApp. How do I delete my account?